Legal Alaska sports betting seems like a paradoxical idea, given the state’s lack of professional sports teams and strict gaming laws. There are no casinos with Class III gaming activities, no horse racing tracks, and no state lottery. This leads many to believe that gambling is just not part of the Alaskan culture. But, the reality is that there are still many sports fans in Alaska who would love a chance to bet on a sports team from another state. The good news is that they can, and they don’t even have to take a trip to the mainland in order to do so. Legal sports betting in Alaska is being done every day through the use of online offshore sportsbooks. 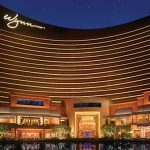 These sites give users the same great odds they could find at a Vegas sportsbook, right from the comfort of their own homes. This may seem almost too good to be true but we’ll go over why exactly they’re safe to use, what other forms of legal sports wagering opportunities are available, as well as cover the state laws that have to do with this form of gaming. 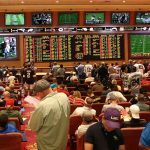 Is Land-Based Sports Betting Legal In Alaska? Even though The Last Frontier is the largest state in America, you won’t find legal Alaska sports betting being offered at any of its gaming facilities. There are casinos located on Native American Reservations but these are merely just pull-tab casinos. Pull-tabs are just like lottery tickets and are popular for AK residents since there is no state lottery. These casinos don’t offer Class III card games, slot machines, or sports gambling. It doesn’t seem as though legislators are in a rush to change this since they don’t see allowing the practice as highly profitable. However, just getting to those places can be a burden, especially in the winter during the height of football season. The best and easiest way to legally gamble on sports in Alaska is by using online offshore sportsbooks. Is It Illegal To Bet On Sports Online In Alaska? Even though Alaska’s gambling laws are some of the strictest in the country, there is nothing clearly defined when it comes to online sports wagering to sites that are based overseas. 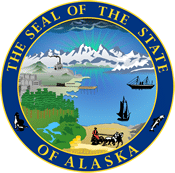 If you place a sports bet to a website that is based in Alaska you would be violating state law, and if you do the same for a website that is based in another state you would be violating federal law. However, sportsbooks that are based in another country don’t have to adhere to either one of these laws and there are no penalties written out for people that are simply users of them. While it can be hard to determine where each site operates, Bovada, 5Dimes, SportsBetting, and BetOnline are all based outside of the US and accept AK residents. Is There Anywhere In Alaska That I Can I Bet On Sports? You’d be hard pressed to find anywhere in Alaska to bet on traditional sports. Alaska does offer people the chance to bet on dog sled races, but they have to be run by a charitable organization and many people don’t necessarily consider it a sport. There are also other unique events that some may consider a sport that you can wager on including the Goose Classic, Snow Machine Classic, and Fish Derby to name a few. If you want to wager on popular American sports like football, basketball, and baseball you can go to a friend’s house since social in-home gambling is allowed. But, if your goal is to truly profit from an event like the Super Bowl or the March Madness tournament, then going to sites like 5Dimes, Bovada, SportsBetting, and BetOnline are your only choice. If you’re looking solely to place your sports bets at a physical gaming facility, be prepared to pay for an expensive plane ticket. Since none of the casinos in Alaska offer sports gambling you’d have to travel to the nearest state which allows it and at this time that state is Nevada. However if lawmakers do change their stance on the matter they would most likely allow legal Alaska sports betting to be held in its largest cities, which we’ve provided below. We’ve even provided popular cities that those looking for a vacation to where they can place their sports bets can travel to. As of right now, the Alaska gambling laws are pretty firm in their stance against most forms of gaming. Chapter 15 Article 1 Sec. 05.15.010 lists out all the permitted types of gaming, along with the procedures for people that want to offer these gambling activities, and the penalties listed out for people who don’t follow those procedures. Although it’s worth noting that the penalties are very light. You’re only given a misdemeanor after your second offense. When the federal law PASPA was repealed in May of 2018 by the US Supreme Court, it opened the door for states to expand their gaming laws to include sports betting and shape their laws around it how they please. Many people thought that state officials around the country would rush to the opportunity to find another way to collect tax revenues. And while many did, legislators in Alaska have yet to introduce any potential new laws. While Alaska may be a huge state, it is not densely populated. This means that even if lawmakers wanted to collect taxes on gaming revenue the amount wouldn’t be sufficient. Even so, states with small populations like Rhode Island have already begun to regulate the practice of legal sports betting, so it’s only a matter of time before AK residents see legal sports betting in Alaska. With a lack of professional sports teams in the state, it can be hard to determine which ones to wager on. Most AK sports fans have to choose a professional team from another state to cheer for. But, residents may be surprised to find the sheer amount of sports leagues that are available on offshore sports betting sites. The ones we recommend offer different divisions of sports, collegiate sports, international sports, and so much more. They may even offer Alaskan home teams, which is why we’ve included them on our short list of popular teams to residents love to put money on. While much of the rural part of the United States enjoys horse race betting, residents in Alaska have to go without that luxury. Not only is it difficult to maintain the tracks needed for the sport because of the weather, but the practice is prohibited by the law. Instead of traditional horse racing, Alaska does allow dog mushing contests which are more closely tied to the state culture. However, online racebooks such as Bovada or BetOnline provide the ability to bet on horse racing and fall out of the jurisdiction of the law. So even though the Kentucky Derby may be thousands of miles away, you can still cash in on your favorite pony. Daily fantasy sports are handled much in the same way that other sports betting options we mentioned are handled. There are no laws explicitly prohibiting the practice and there have been no bills introduced or passed to change that. It’s because of this fact that DFS giants like DraftKings and FanDuel operate unregulated and will gladly accept any Alaskan residents. 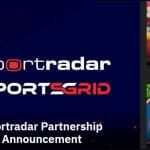 These sites allow you to draft your dream team, play with your friends, or against anyone around the world. These games are highly thought of to be more a game of skill rather than chance. You have to analyze player trends and statistics to make strategic drafting decisions. It’s because of this analytical side that many people use DFS sites as their preferred legal Alaska sports betting method. Can I Bet Real Money On Sports In Alaska? Yes. If you use offshore sports wagering sites such as 5Dimes, Bovada, BetOnline, or SportsBetting, you will be able to make real money deposits through your debit card, wire transfer, a cashier’s check, or other preferred methods. From there you can use your deposits to bet on any upcoming matchup or even games that are happening live. If you enjoy using Bitcoin to handle your online transactions you can do that as well. Is Online Sports Betting Safe In Alaska? Yes, but only if you are using the sites we recommend. If you use a website that is based in Alaska you risk getting yourself and the operator in trouble. You would be doing the same thing if you tried to use another state’s regulated sports gambling site as well. If you tried to use any other website there is no certainty that your deposits will be secure. But, with sites like Bovada, SportsBetting, BetOnline, and 5Dimes, you will have 24/7 access to customer support and a decade plus experience in serving US members. Will Sports Betting In Alaska Ever Be Legal? The likelihood that Alaska will ever change its laws to allow sports gambling to be offered in the state are very slim. The market isn’t huge and many of the sports that Alaskan residents enjoy aren’t as popular with the rest of the US, making any type of handle fairly small. But, regulations around the practice have already begun to spur across the country and as the pressure mounts for state officials in the Last Frontier, it will only be a matter of time before legal sports betting in Alaska becomes a reality. Will I Get Arrested For Sports Betting In Alaska? Based on recent history the answer would be no since there have been no arrest records found for individuals that used online offshore sportsbooks. The penalties associated for placing wagers with local bookies are also very light. According to Alaska Statute Section 11.66.200 the penalties associated with gambling include a violation on the first offense and fine of no more than $1,000 dollars for any other offense after that. 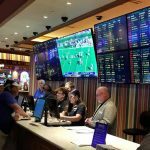 What Is the Sports Betting Age In Alaska? Since there are very limited forms of gaming in Alaska, many people have used the required age of other gambling activities to answer this question. The legal age to participate in bingo or pull-tab games is 18 years old or older, so it is safe to assume that you can place your sports bets beginning at that same age as well. Residents will be happy to know that the sports book we recommend each have the same age restriction. Are There Mobile Sports Betting Apps Available In Alaska? Yes. Bovada, SportsBetting, BetOnline, and 5Dimes each have a mobile app that you can download right from their site. Bovada even has an app that you can access via the app store on your iPhone. However, each site provides a mobile-friendly alternative to their desktop versions so there is no need to use the extra storage on your device just to put money on your favorite sports teams. Where Is The Best Place To Bet On Sports In Alaska? The best place to access legal sports betting in Alaska is actually anywhere that you have an internet connection. Since there are no gaming facilities that offer the activity, residents will have to go online to find sportsbooks that are housed in other countries so they can place their sports bets. While it may sound difficult to do, signing up for one of these sites is as easy as making any other online account and should only take a few minutes. Should I Use A Local Bookie In Alaska? Unless you want to risk violating state laws, we strongly advise you to stay away from people who claim to be local bookies. On top of that, the security of your money could be at risk as well. If hand a deposit to a local bookie and they mess up or leave with your money there will be no way of getting it back. 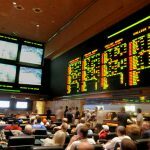 The offshore sportsbooks we recommend have excellent customer support and can help guide you into making your bets and receiving your winnings. Do Any Casinos In Alaska Have Sports Betting? Unfortunately, no. Casinos in Alaska are actually quite different than most casinos in the country because they are not even allowed to offer Class III games like blackjack, slot machines, and poker. Instead, they are only allowed to offer activities such as bingo and pull-tab games. Those pull-tab games are played much in the same way as a typical scratch-off ticket in other states. Can I Bet On Sports With My Friends In Alaska? Yes, as long as it is done at home and not at a business’s location. Many people enjoy using social sports wagering pools for events like March Madness or Bowl mania and Alaska allows its residents to create one as long as it is not advertised or used as a means for a business. This means whoever wins receives the entire pot, and the pool isn’t advertised to the public. It’s a great way for friends to get together and enjoy the sports they love even more. It’s no wonder so many residents choose this option as their means to engage in legal sports betting in Alaska.